No one could call me yesterday for a few hours. 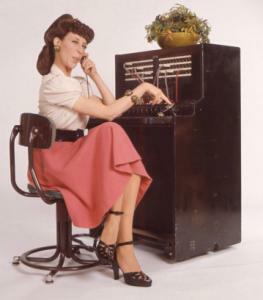 Finally a friend called my cell phone to tell me that she would dial my number and get the message "All Circuits Are Busy At This Time, Please Try Later". I had to test it so I called my Ooma phone from my cell phone and heard it for myself. Everyone trying to call here was getting that message but I could call out just fine. One friend that I called said she got the Ooma answering machine but no message. How can all circuits be busy??? Oh,it was a particularly bad day for this because we were planning a club trip and those without email were trying to rsvp via phone. Re: All Circuits Busy ?? Likely a local issue, and one I didn't have, but I'd like to know the cause. Did you speak to the phone support people? I didn't speak to anyone about it. I wouldn't have a clue who to to ask what happened other than coming here? I do not have a land line of any flavor and to me, that message belongs to a land line not a VOIP phone. Bummer about this happening when you really needed the phone to work for the club trip! ooma uses partners to service calls to various areas around the company. What Groundhound was referring to was to ask ooma's customer support (888 711-6662) to look into it for you. If you know the times and numbers that people were trying to call they can check the phone logs and see if something was happening. And a suggestion - don't rely on email for support issues. A quick phone call seems to always work better. Make sure to post back with the resolution. It may help someone in the future! Leeway: I live in Indianapolis and had the same "All Circuits Busy" problem with incoming calls. Outgoing calls weren't affected. I contacted customer support yesterday and they told me there was, indeed, an outage although not one that affected a great many customers. I told them that I had checked the "status" page but no mention of the outage was present there. CSR told me that it should have been posted; perhaps it wasn't because the outage affected only a relatively small number of customers.